Pre-approved bonds give prospective homeowners the confidence to shop – and put down solid offers – within a known price bracket. Find out more about getting a pre-approved bond or apply online today. Many financial institutions offer pre-approved home loans to help homeowners in their hunt for the perfect house. The certainty that you could afford to buy a property of up to the amount you pre-qualified for can also add the benefit of approval certainty to your offer. Where there are two similar offers on the table, one being pre-approved and the other being subject to bond approval, the former should be regarded more favourably. Getting a pre-approved bond can therefore help you firm up your offer substantially. However, the industry has experienced extremely rapid growth since its introduction in 1999, and today approximately 60% of all home loan applications in South Africa are facilitated with the assistance of a bond originator. In a nutshell, a bond originator shops around for a home loan on behalf of a client, negotiates the most favourable interest rate and takes most of the hassle out of applying for a home loan. This they all do at no cost to the home loan applicant, as it is the bank or financial institution that eventually extends the loan that pays the bond originator’s fees. In addition to negotiating the best interest rate for their clients, bond originators will also advise you on what you can afford, and will prepare the necessary paperwork for your application. You only have to fill out one form, instead of the multiple forms you would have to complete if you were applying to different lending institutions yourself. Generally a bond originator will be able to secure a home loan for you within two weeks of submission of the application. Banks know that bond originators “shop around” for the best interest rates on a home loan for you and compare interest rates, something an individual applicant might not have the time or expertise to do, and therefore banks are far more likely to offer a bond originator an agreeable rate. You are offered the opportunity to compare products and rates, and given a wider choice than if you were to approach only your existing bank or financial institution. Applying to different banks yourself might be complicated for the ordinary home loan applicant, because banks use different ways of evaluating your creditworthiness. This is where the knowledge and experience of the bond originator can be immensely valuable. What will a bond originator need to assist you? Bond originators typically require a copy of your ID document, a list of your assets and liabilities, your latest salary statement, a list of your monthly income and expenses, bank statements for the past three months and your permission to do a credit history check. Why does it cost you nothing to use a bond originator? 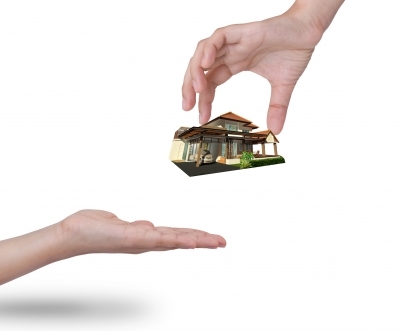 The bond originator’s fee is paid by the bank which ultimately grants you a home loan. By law the bank is prohibited from passing this fee on to you or adding it to the loan amount. It is profitable to the bank to pay the fee because the bond originator has already done a lot of the administrative work for granting the home loan, and therefore reduces the work the bank has to do. Together with the remarkable growth of the bond origination industry, there has also been an increase in the number of bogus operators. Avoid any bond originator who wants to charge you a so-called administration fee, because this is nothing other than a scam. In such a case you should report the bond originator to the bank concerned. There have been calls that the bond origination industry in South Africa needs to be regulated in order to guarantee a more professional service. At the moment the industry is self-regulated by the National Association of Mortgage Originators (NAMO), with its members subscribing to a code of conduct. Using bond originators who are members of NAMO will guard against possible fly-by-night originators. You can also ask how long your bond originator has been operating, ask to see a track record or ask for references from satisfied clients. You are under no obligation to accept the offer a bond originator proposes – the final decision rests with you.